Click to Call NOW! 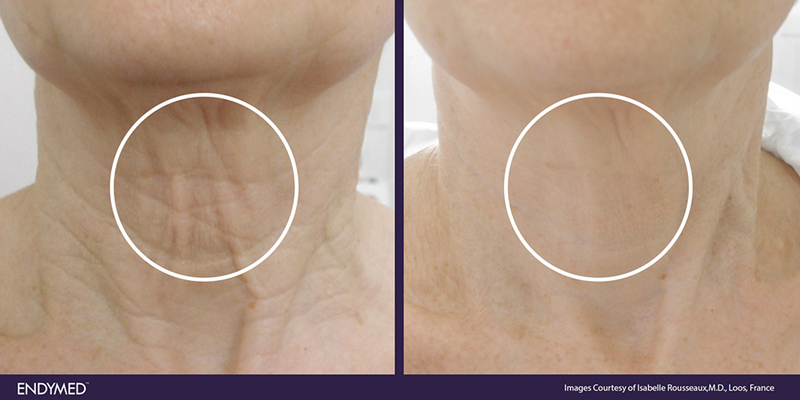 for your Customised Free Skin Consultation for Endymed Skin Tightening at our Essex Clinic. 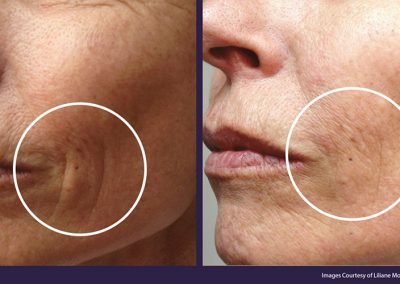 Radio Frequency produces a heating technique to the skin that is designed to stimulate natural subdermal collagen response so that the results you’ll see will be completely natural looking too. It’s like turning back the clock to reveal more youthful looking, firmer, tighter, smoother, lifted skin. So if the signs of ageing have crept up on you and it’s starting to undermine your confidence, there’ll be an ENDYMED™ Skin Tightening treatment to help you tackle your problem areas. All of the treatments have little to no downtime and produce long-lasting results. You can even combine treatments to help you target different issues at the same time. Consultation: Free Consultation – Why don’t you book in to have a no obligation chat about Endymed Skin Tightening and see why so many of our patients recommend us!. No. of Treatments: treatments over an 8 week period. Treatment Areas: Anti Wrinkle Injections, Botox and Fillers, Collagen Stimulation, Dermal Fillers Injections, Facial Fillers, Line Correction, Lifting Facial Wrinkles, Smoothing Deep Folds and Facial Contours, Wrinkle Reduction. Why us: Our patients regard us as having the Best Anti Wrinkle treatments in Colchester. Read what they say in our Skin Tightening Patient Review section and our 5.0* Skin Tightening Essex Google + Reviews. 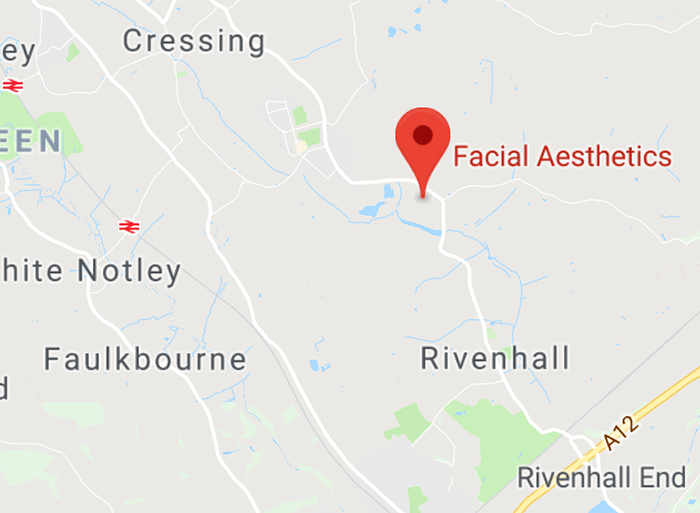 Patients Travel From All Over Essex for Radio Frequency Skin Tightening: Basildon, Bishops Stortford, Braintree, Brentwood, Chelmsford, Colchester, Dunmow, Kent, London, Maldon, North Essex, Southend, Wickford and Witham. The Award for the Furthest is Monaco!. Possible complications: Redness, bruising, swelling. * Please Click Here for your Skin Tightening Treatment Protocols. 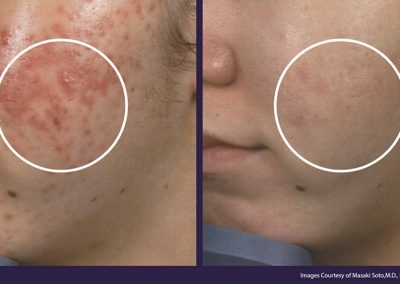 This treatment is like your very own skin-gym, where the minimum of six sessions increasingly tones and firms the skin. To read some articles about the treatment please click the below links. Skin Tightening can be used to provide the foundation and support for younger looking skin, it is Perfect to Combine with HydraFacial and LED Light Therapy and can help with the following conditions. Below are selected Frequently Asked Questions about the Facial Skin Tightening treatment. 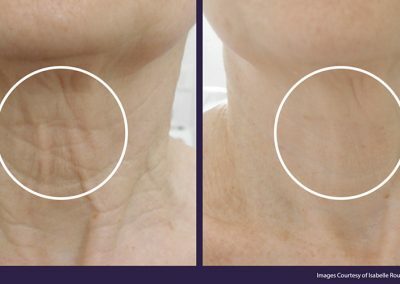 What are the different Skin Tightening techniques offered? ENDYMED™ SHAPER: Regain your shape with tighter, firmer skin. What happens during my Skin Tightening treatment? After preparing your skin, a lubricating gel is applied to enable the Endymed hand piece to gently pass over the skin. Monitoring the heat on the skins surface the device will be maintained at a comfortable temperature to ensure an effective delivery of the Radio Frequency treatment. For the Fractional Skin Resurfacing (FSR) a local anaesthetic cream is applied prior to treatment to make it more comfortable. The Endymed hand-piece is then passed across the skin and creates tiny skin punctures where a tiny pulse of heat is transferred to the dermal layer. This causes an inflammatory response in the skin that stimulates fibroblasts to produce new collagen. Is Skin Tightening right for me and will the treatment damage my skin? 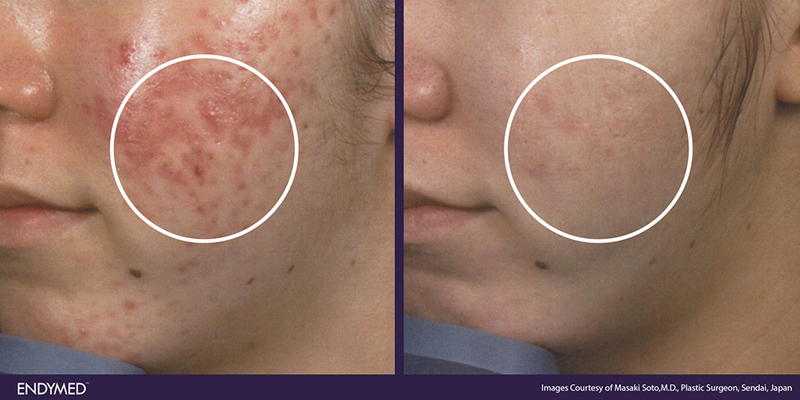 Radio frequency is very safe and suitable for all skin types. The long wavelength of radio frequency is delivered into the skin, resistance causes heated treatment zones at controlled ttoemperatures and this heat ‘kick starts’ a collagen remodelling process which ultimately leads to lifted, tighter skin. The Fractional Skin Resurfacing (FSR) also ablates the outermost layer of the skin allowing new, fresh skin cells to develop. The ablation is very superficial and will not cause any damage to the dermis – the lower part of our skin. 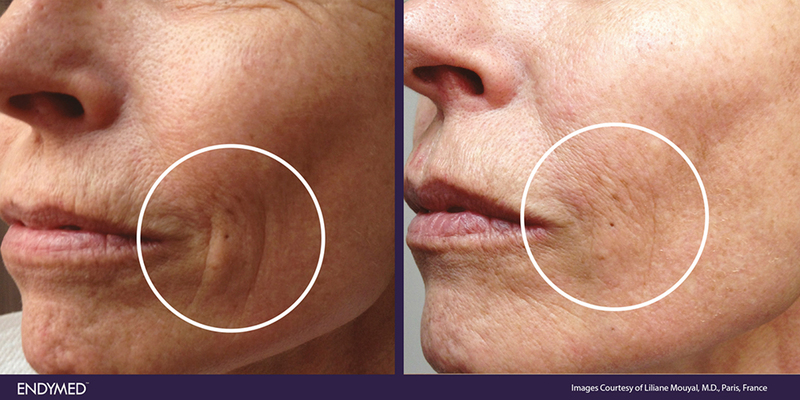 During the Skin-Tightening treatment you may feel a warm sensation in the treated area. For the Fractional Skin Resurfacing (FSR) a local anaesthetic cream is applied 20 minutes before your treatment to make it more comfortable. I do have a great deal of skill and experience in carrying out this treatment and often patients comment on how gentle I am. I’ll make sure you feel comfortable at all times, so there’s no need to worry. For more FAQ’s About Radio Frequency Skin Tightening Treatments in Essex Click Here to help you understand if the treatment is right for you, but please remember we can answer any more detailed questions at a complimentary consultation, over the telephone with one of our clinical experts or by completing the below contact form.